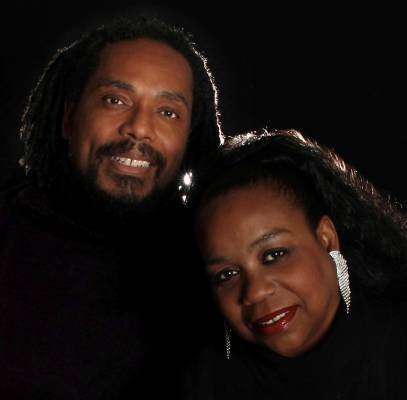 Thank you for shopping with Loveless Galleries, owned and operated by James & Yvette Loveless. "We pride ourselves on providing excellent customer service." Please feel free to call now to place your order by telephone and give us an opportunity to speak with you personally. Call us anytime at: 817-841-7625. Wood grain with even toned finished. The awesome workmanship. A definite conversation piece. 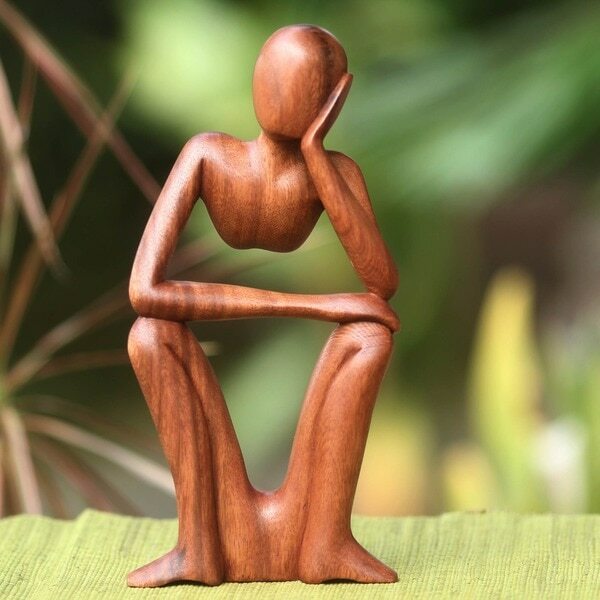 When ordering as a gift, give your self enough time for the order to arrive as this art work comes from Indonesia, and it will take at least 4 weeks. 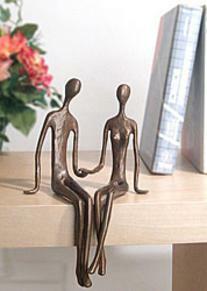 Celebrate the love between the two of you with this beautiful bronze couple statue. 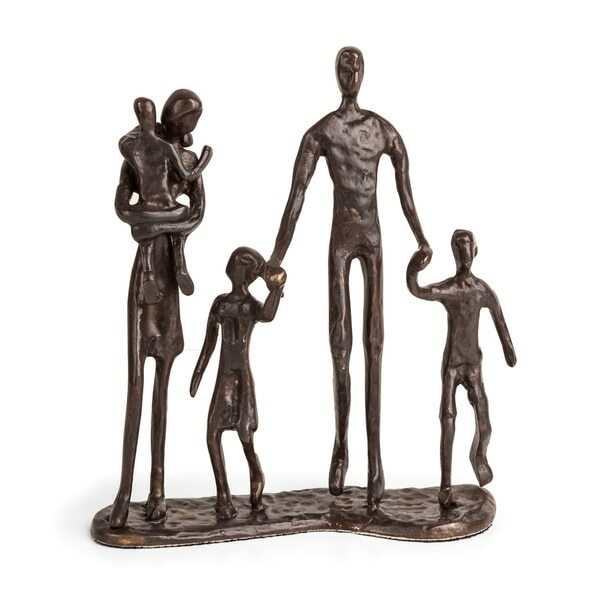 Classic and contemporary in style, the bronze sculpture enhances any room in your house. 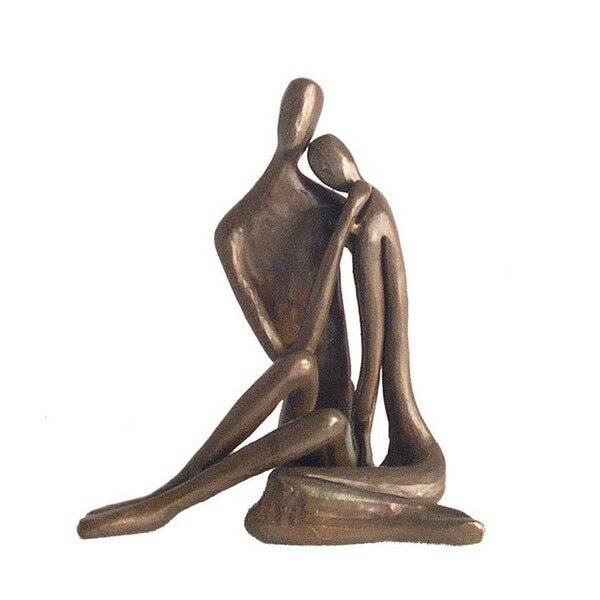 This statue is crafted by hand and portrays the special moment when a couple is locked in a loving embrace. This is a great anniversary or wedding gift idea. Bronze family joyfully celebrates the familial bond of a husband, wife and their children. Compellingly expressing the satisfaction of spending time with your loved ones, this accent piece is bottom lined with velveteen to protect unwanted damage to your shelf, side table or desk. Sand casted by craftsmen's hands provide a delicate finish. A good welcoming gift for your favorite neighbors.